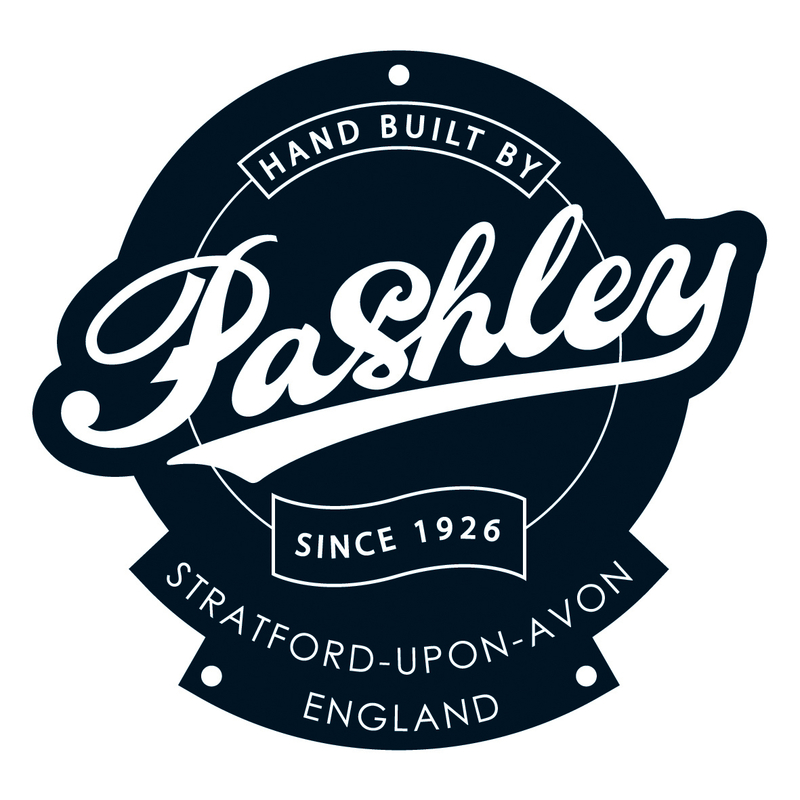 Pashley Cycles was founded by William 'Rath' Pashley in 1926, Pashley have been dedicated to hand building high quality bicycles and tricycles to meet the diverse and evolving needs of their customers. Pashley Cycles have been been the longest established British bicycle manufacturer and one of only three remaining here in the UK. Pashley's bicycles are not only unique in their design and quality, but also in their connection to a well-established heritage of craftsmanship and innovation at their workshop in Stratford-upon-Avon. It is by combining a strong British heritage, an impeccable quality of hands-on manufacture and the urge to innovate that Pashley is able to be truly unique to this day. 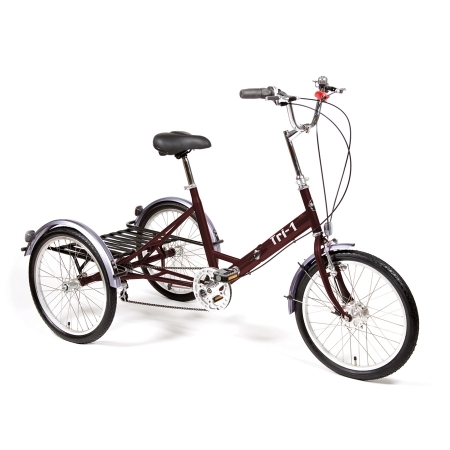 Pashley say "Our bicycles are different by design... distinctive by nature"
The Tri-1 is a combination Pashleys classic three-wheeled design with the very best modern components. It comes complete with wide ratio 7 speed gears, which means you can tackle even the steepest of hills and keep up with the pace of city traffic. Since first introducing this model in the 1960s, pashley have constantly innovated upon this design to make the Picador a all-around tricycle for all aspects of your life. 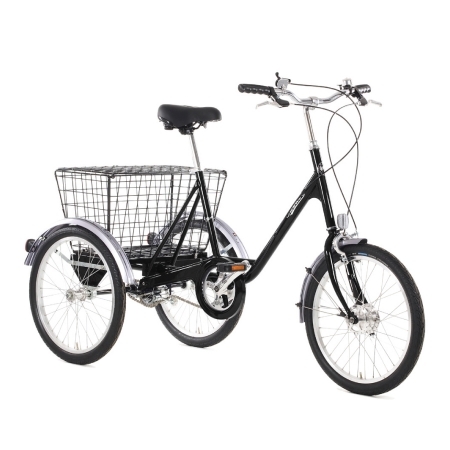 The Picador has a padded and sprung saddle which keeps you upright and comfortable no matter what the road conditions, whilst the large rear basket is perfect for carrying your shopping with ease. The Picador is just as good in the countryside, where full mudguards keep you clean on muddy roads and the powerful dual hub and calliper braking system gives you a sense of reliability and safety when riding your tricycle. All this allows you to enjoy all the pleasures of cycling with the security of a hand-built three-wheeled design, making the Picador a truly amazing all-rounder that will never let you down. The Pashley Aurora is a unique ladies bike, offering a dynamic ride that is suited for all sorts of rides. The Pashley Aurora has a mixte style frame which is constructed from legendary Reynolds 531 tubing which is lightweight and stiff, built all by hand to offer a swift and elegant riding position. The Aurora has a classic Old English White paintwork that complements the rich honey colour of the Brooks B17S saddle. As well as turning heads, it also excels in the choice of components. The 8 speed Shimano Alfine hub gears allow you to tackle steep hills whilst requiring little maintenance, and the narrow Mavic alloy rims with Panaracer puncture protected tyres give you the chance to ride at speed without unwelcome interruption.